With over 40,000 costumes in stock and an inventory that is ever increasing and evolving, you're sure to find the perfect outfit at The Costume Library. We also have an amazing array of props, from chairs and tables to suitcases and swords. Whether you need a single vintage hat or costumes to outfit a large cast, let us help you get the job done. We even offer discounts for schools! We are located on the NWU campus in the Elder Speech and Theatre Building at 51st and Huntington St. We are open Monday to Friday, 3:30 p.m. - 5:30 p.m., when class is in session from August to May. Rental period is two weeks for individuals, and a refundable deposit equal to the rental price will be required at the time of rental. The rental period for schools and organizations is four weeks, and no deposit is required. We accept cash, checks, and credit/debit cards. Have a question? 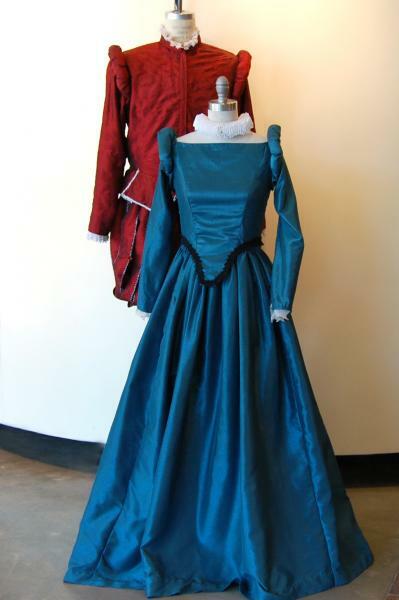 Call Julie Wilshusen at 402.465.2390, email costumelibrary [at] nebrwesleyan.edu, or stop by the Elder Theatre Center Building at 51st and Huntington.